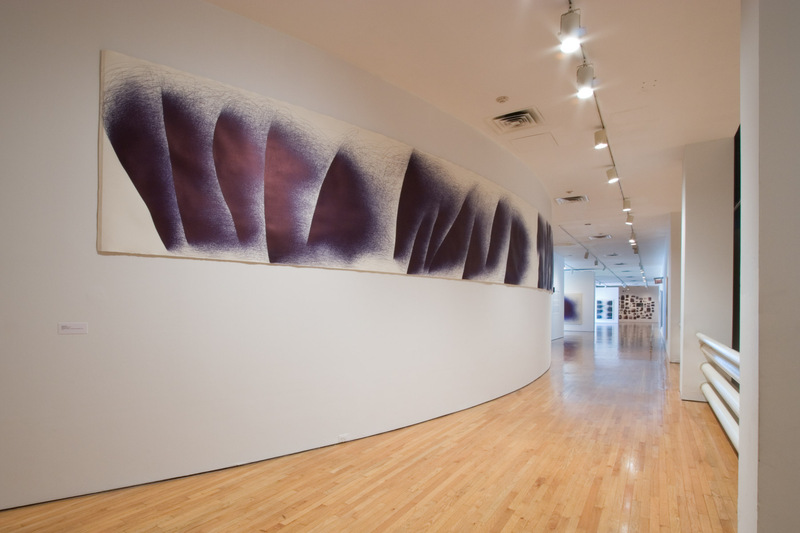 IL LEE: Ballpoint Drawings at the Queens Museum of Art, New York, 2007. Courtesy of the Queens Museum of Art. New York (June 28, 2007) – Art Projects International (API) is pleased to announce IL LEE: Ballpoint Drawings at the Queens Museum of Art this summer from July 19 to September 30, 2007. Curated by Joanna Kleinberg, this exhibition follows the mid-career retrospective of Il Lee at the San Jose Museum of Art currently on view through July 8, 2007, and will be Il Lee’s first solo museum exhibition in New York. 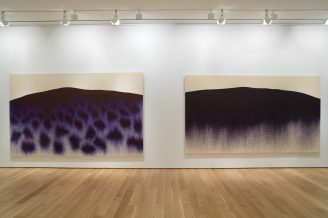 The Queens Museum of Art will present Lee’s signature works — large ballpoint pen works on canvas and on paper — early experimental works, and a fifty-foot, site-specific installation. The monumental ballpoint pen on paper work created specifically for the Queens Museum of Art exhibition is striking as a physical achievement and as a full expression of the range of Lee’s motifs and experimentations. A video showing Lee at work on this spectacular installation will also be on view. This engaging photographic record captures Lee at the height of his artistic power bringing his massive work to life using only ballpoint pen and his masterful yet intuitive, athletic yet highly controlled, approach. Another installation, a wall densely hung with 86 works on paper, presents examples of Lee’s ballpoint pen work over the decades including rarely seen working drawings that reveal the heart of his creative process. A version of this installation was featured recently at Lee’s extremely popular retrospective at the San Jose Museum of Art in California. On the heels of this successful retrospective in California, it seems natural that Il Lee, a New Yorker for decades, is now showing his most ambitious work in New York City where he has worked for years developing and exploring his art. IL LEE: Ballpoint Drawings is funded in part by the NYC Department of Cultural Affairs, New York State Council on the Arts, the Korean Cultural Service New York and the Vilcek Foundation.